AN alliance of concern groups has asked the government to carry out changes in the education system following a string of student suicides. Members of the Civil Alliance for Student Suicide Prevention (防止學生自殺民間聯席) met Deputy Secretary for Education (教育局副秘書長) Michelle Wong Yau Wai-ching (黃邱慧清) on Tuesday. Wong is the vice chairwoman of the Committee on Prevention of Student Suicides established to look into causes and make recommendations after 31 students committed suicide from September last year to last month. The alliance demanded systematic reforms including the abolition of the Territory-wide System Assessment (全港性系統評估), increasing the class-teacher ratio, easing the manpower shortage in schools and increasing the number of social workers and educational psychologists in schools. 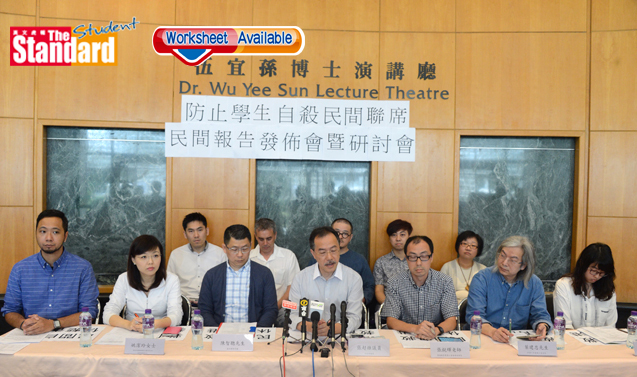 TSA Concern Group (TSA關注組 ) convener Ho Mei-yee (何美儀), an alliance member, said the assessment created great pressure on Primary 3 children, and demanded the examination be abolished. 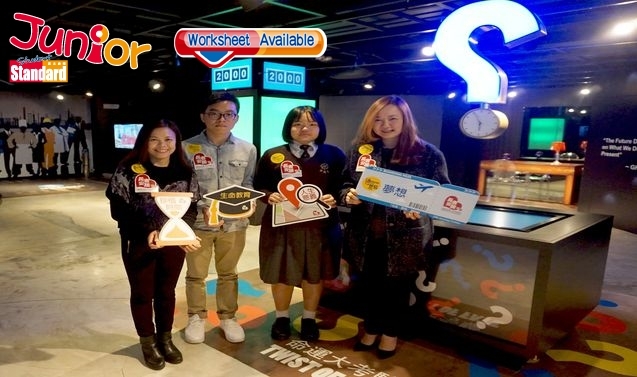 Cheung Yui-fai (張銳輝 ) of the Hong Kong Professional Teachers’ Union (教育專業人員協會 ) said the class-teacher ratio in primary schools is 1 to 1.5, while that in junior schools is 1 to 1.7 and in senior high schools 1 to 2. 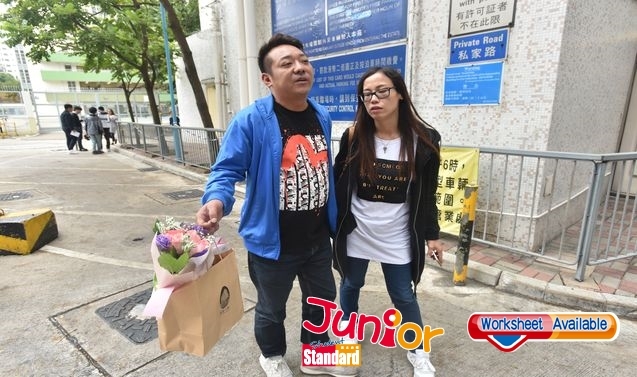 Cheung also urged reform of the social worker system in primary schools from public tender every few years to long-term stationed social workers, to allow them to stay in the school longer and keep track of students with needs. The committee agreed with the alliance to establish a ‘rest day’ for schools. Rest day is a school day but students have no classes and instead play games.